I have no garage. I don't really miss it for the car -- I have a circular driveway -- but it is at holiday time that the storage for decorations is nil/packed in the attic. Makes it so inconvenient to access. My other option is to take my only guest room and store it in there. 2. Each year Time Magazine names a 'Person of the Year', someone who has 'for better or worse...done the most to influence the events of the year.' It was recently announced they've named Angela Merkel Person of the Year for 2015. Your thoughts? If you were in charge, who would you declare Person of the Year? Since this is the time of year that we give out 10,000+ toys to abused and neglected kids, I'd give it to the donors and volunteers who make children's dreams come true. Yes! I have quite a few! I have a few small ones that stay out year round. I love this one (the first one) and it is fun to collect the pieces, but my favorite is the one Joe gave me (it's the second one). It is the most beautiful, I think. I love volunteering at my church during the holiday -- this year I'm not attending on Christmas Eve in order to have more room for visitors. I'm attending the travelers service and ushering. My mom is tough because she buys everything she wants for herself and she has spectacular taste. When I find something for her it's a Christmas miracle! Tell strangers that they are beautiful/handsome. Smile and laugh a lot. Three cheers to Willard Scott upon his retirement from The Today Show today. My grandmother always called him her secret love. He is mine too. That second nativity set is beautiful! Isn't it amazing how long Willard Scott has been with the TODAY show. Have a wonderful Christmas, Paige. I love my Willard Scott!! So cute. 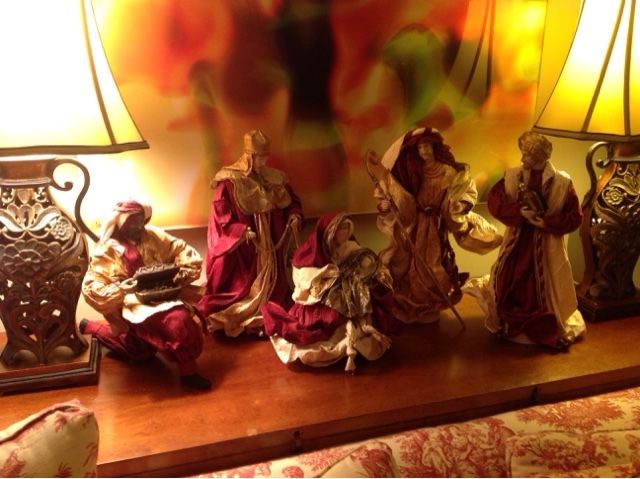 Your Nativity set is beautiful. Have a wonderful holiday, dear Paige! I don't watch the morning shows anymore, but way back when I enjoyed watching Willard Scott. Your nativity is beautiful! Merry Christmas! Sure was sad to see Willard Scott leave the "Today Show". Talk about an American treasure! Wishing you a Merry Christmas! I enjoyed reading your Hodgepodge today. Chicken salad sounds amazing! I have never made it myself. I should put that on my list of things to do!! Merry Christmas Paige! Give all the donors and volunteers a hug from me. There's nothing like making those children's Christmas dreams come true. Wishing you and yours a Merry Christmas. Your nativities are lovely. Love your random, that is too cute! 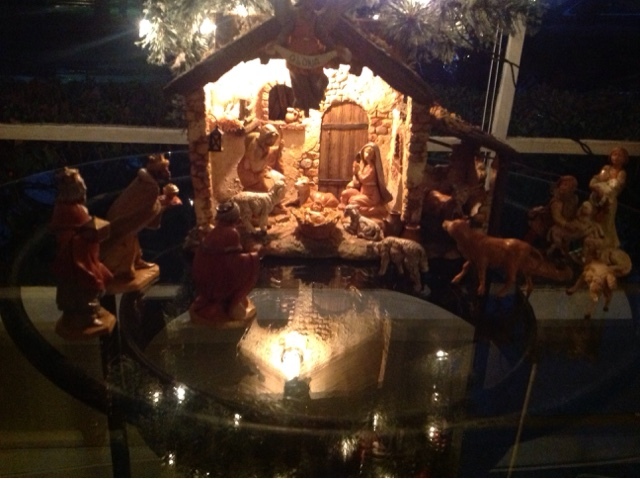 love the nativity sets! hope you have a very lovely Christmas!